Vivid and alluring, this lovely wine begins with aromas of citrus, white flowers, Honeycrisp apple and pear, as well as hints of vanilla from aging in French oak. 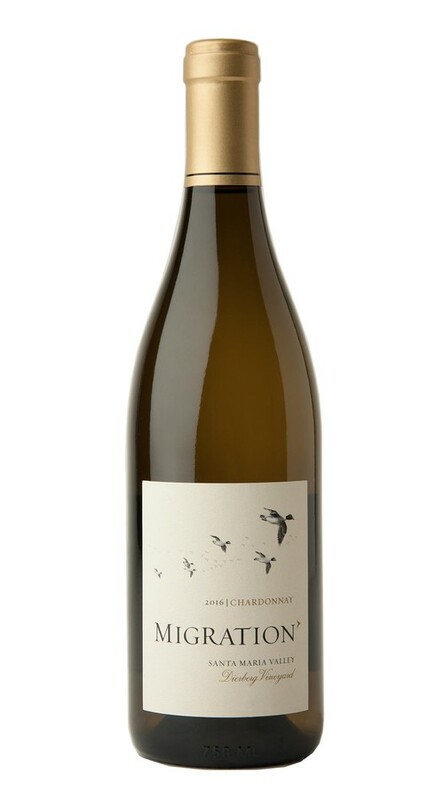 On the palate, Dierberg’s signature racy acidity adds poise and definition, framing the citrus and orchard fruit flavors, and carrying the wine to a long, refreshing finish. The California drought continued with winter temperatures ranging from 5 to 10 degrees warmer than average, which resulted in rapid vine growth. Come spring, the temperature fell, and a coastal fog layer arrived like clockwork every morning, in the Santa Maria Valley. While a cool May produced a smaller fruit set than average, a mildly warm summer and slightly cool August allowed for ideal hangtime, yielding small and concentrated berries with delicious varietal character.